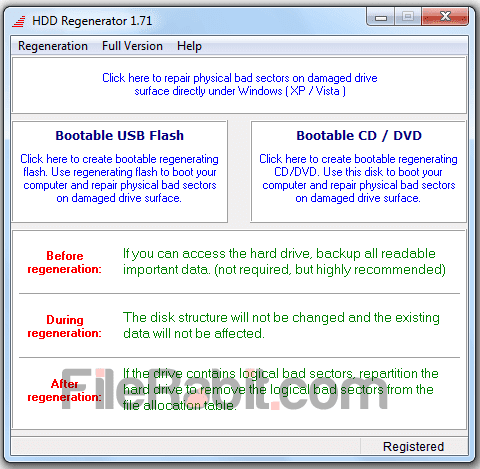 HDD Regenerator is a tool used to remove or repair bad sectors found on hard drives. It doesn’t hurt user data while regenerating partitions and fixing surface area. Users are always worry about their data and privacy but HDD Regenerator is here to secure both of them. In simple words, a smart and powerful utility that will find, repair and remove physical bad sectors from internal or external hard drives. There are many familial partition and hard drive repairing utilities but most of them are wasting of time as well as money too. HDD Regenerator can be run through bootable USB drive, CD/DVD disc drive and through proper setup installation as well. The setup includes all three of functions so it’s on user that how they will run it. 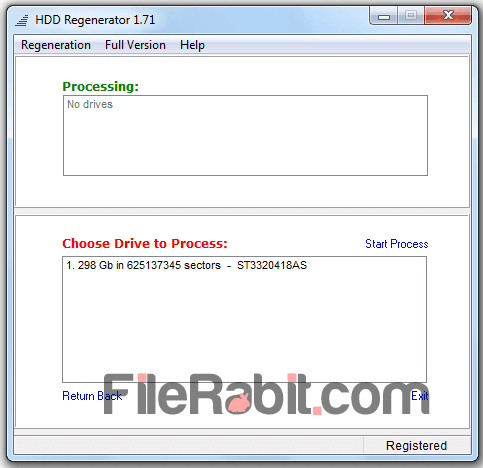 HDD regenerator will detect any physical hard disk drives (HDD) and solid state drive (SSD) very well. However, this intelligent utility is designed to repair bad blocks as well as recover important data in physical drives. HDD regenegrator is mostly used to detect problems like error in partition table, bad sectors, bad partition table and other similar issues related with physical and logical sectors. It will immediately scan surface of target hardware device and start recovering damaged area of hard disk. Basically, it’s using Hysteresis technology depending on magnetic field that will circulate media rapidly. The elapsed and remaining time is always depending on total space of hard drive. Bigger hard drives will take more time then smaller ones. It will never let your data delete or format nor it’s been using to delete partitions. Previously, Norton Partition Magic is much popular hard drive repairing utility but later time, HDD regenerator goes viral in short time. Hard disk sentinel will tell the structure, health, temperature and physical surface problems but HDD Regenerator will regenerate your hard in 3 different options. Most recommended option is first one so this smart utility will scan, find and recover list of bad sectors under estimated time. The tool has also support for ext3, hfs+, FAT, NTFS etc. Although, HDD regenerator will recover damaged hard drives without losing data and affecting physical criteria.